SimplyFun Games for Kids = Amazing Educational Playtime! We received three great SimplyFun Games for kids in exchange for an honest review. All opinions are our own. I love playing fun games for kids with my son, but I feel like we’ve kind of exhausted our supply of current games. That’s why I was so happy to try out some brand new games from SimplyFun. I was even happier to get three games that focus on different skills. 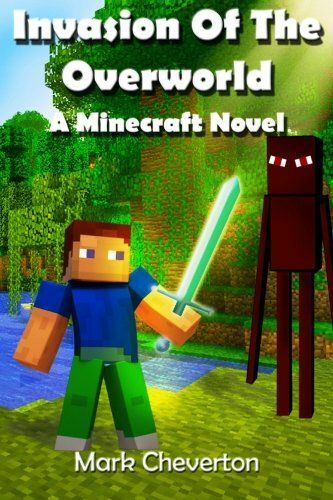 Before I tell you about the games, let me just say that I love how these particular games are easy enough for my 8-year-old, yet fun and challenging enough for me as an adult. SimplyFun’s mission is to “recommend the right game, for the right moment and the right reason to each [customer].” The company is young, but they’ve already made leaps and bounds towards their big dreams and goals. I chose three games: Word Bits, Sumology and Ocean Limbo. I thought this was a great variety. 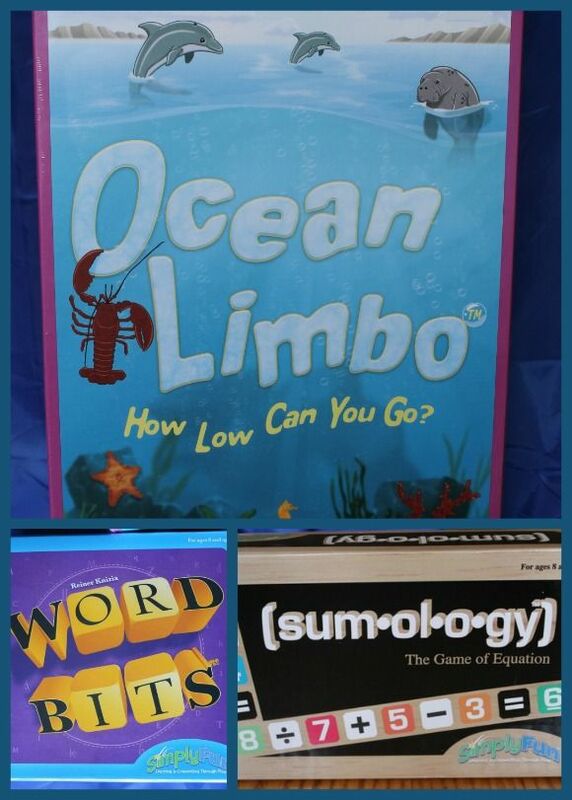 Words Bits helps with spelling, Sumology with Math and Ocean Limbo combines cause-and-effect with sea life fun. 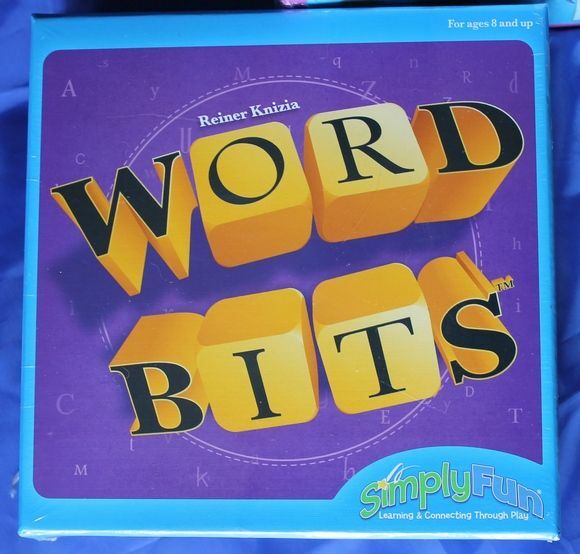 Word Bits is such a fun game for those of us who love language. In the box, you get a deck of cards and 4 dice. Each card has a category and a number on it. You roll the dice, then players have to come up with words that contain X amount of letters on the dice in the category on the card. So say the category is Tree/Bush and the number on the card is one. I roll the dice and get A, C, G, E. I need to use at least one of those letters in my answer. I have to be the first person to call out a correct answer. If I do, I get the card. You can either play until you run out of cards, use a pre-determined number of cards, or choose how many cards a player needs to win. It’s totally up you you. While the rules come with suggestions, this is one of those games where you can easily change the rules to fit the players. 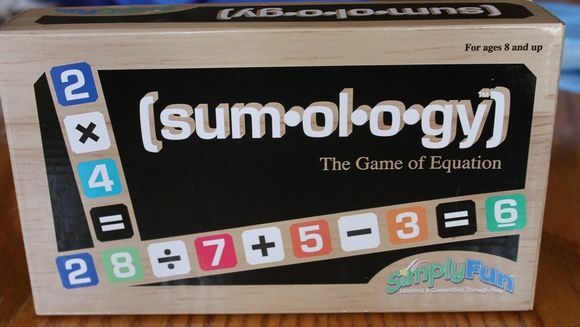 Sumology was a bit trickier for me, because my mind doesn’t quite comprehend math. 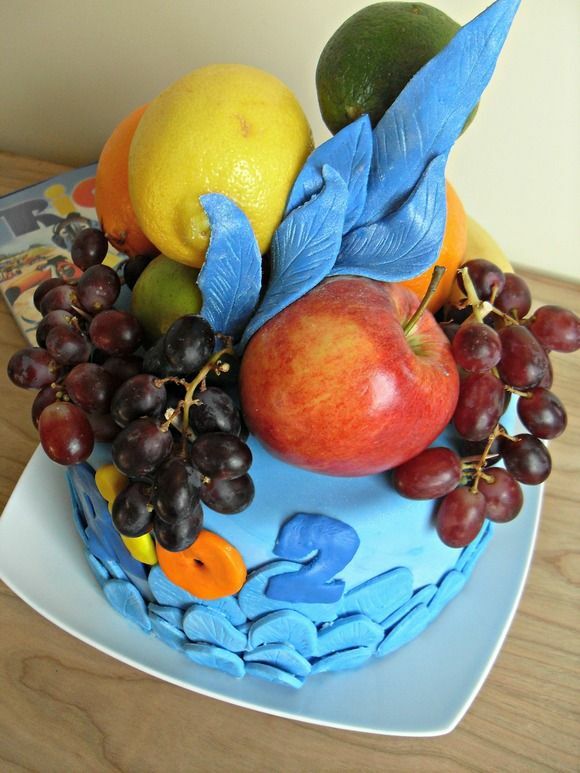 My son, on the other hand, is a lucky one who is great at all subjects. The game itself is gorgeous. It comes in a wooden box filled with wooden tiles. 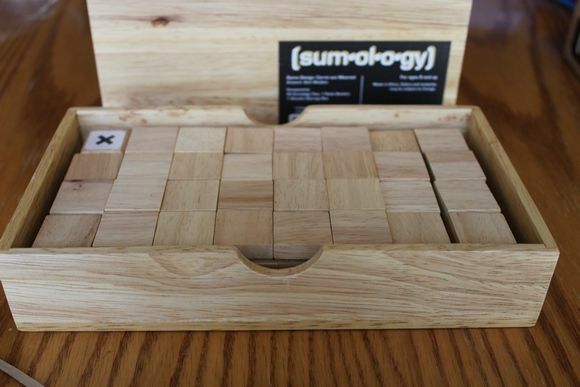 Sumology is a lot like Scrabble, except with numbers, and maybe kind of like Dominoes. The game starts with an equal sign in the middle. Players then get eight tiles each, and take turns building equations off each other. Scoring is based on the total sum of the numbers in the equation. Again, you can easily change the rules to make them harder or easier depending on who is playing. Jacob and I went with simple equations because he’s only in 3rd grade. 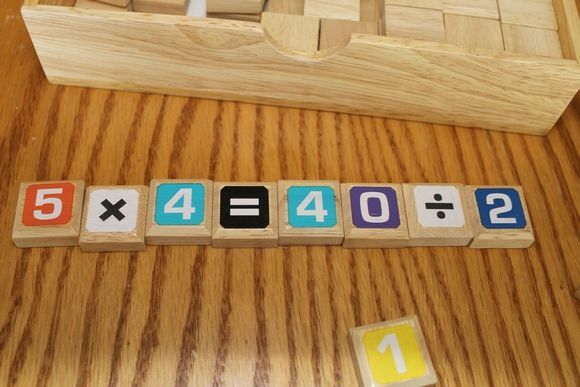 If I played this with adults, obviously we would use more complex equations. Or, they would, and I would be lost! This is a great game to help kids learn basic number skills! Ocean Limbo was actually my favorite of the three. It is easy enough for young kids to master, yet still challenging enough for me. It comes with ocean boards and plenty of ocean life cutouts. The first thing I noticed was just how sturdy these cutouts are. In fact, with all the SimplyFun games, you get extremely high quality games. The cutouts are made of incredibly strong cardboard, so they’ll stand up over time and play. 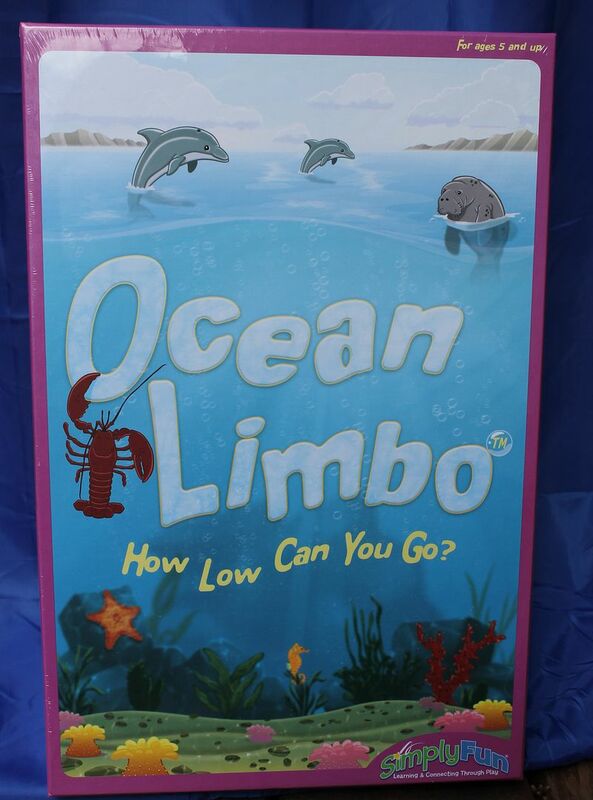 With Ocean Limbo, the goal is to get the lowest score. Slide your cutouts down the board and try not to stack them up to high. 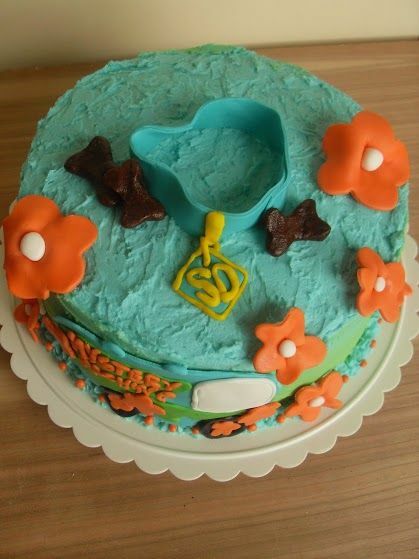 In other rounds, you get extra points for covering or not covering the bubbles, making it far more tricky! 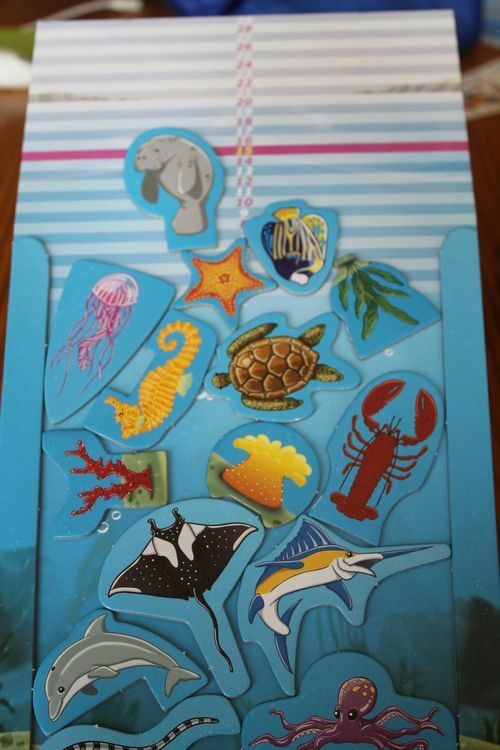 I love that this game comes with a Sea Life fact sheet, so kids are learning about marine life while playing. It’s a fun way to get kids excited abut science! SimplyFun doesn’t just make amazing games for kids, they also allow moms to become entrepreneurs. If you’re thinking of starting a home business, you can apply to become a Playologist. You’ll be able to directly sell SimplyFun products and also get discounts on games. Check it out! You can also order games through a Playologist in your area or at the SimplyFun website. 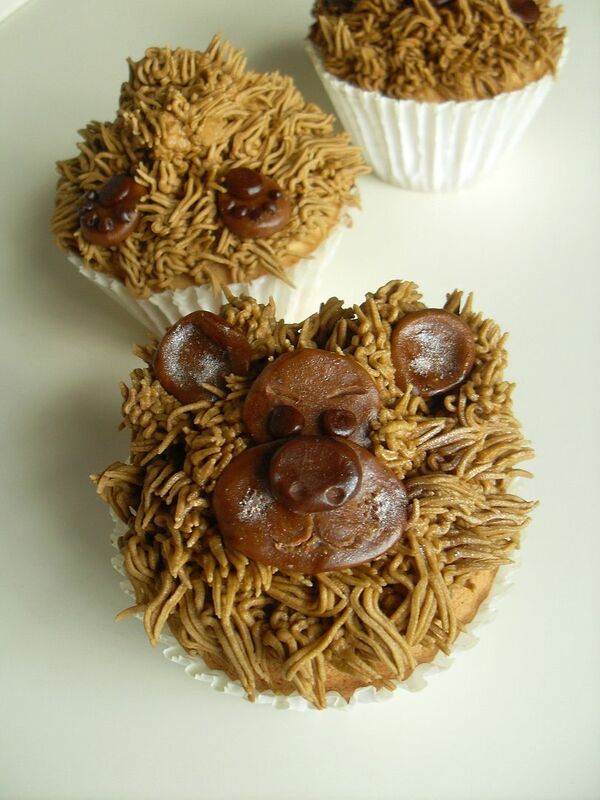 Check out SimplyFun on Facebook and Twitter to keep up with news. Ended. Congratulations to Matthew O.
I’d loe to win Word Bits! 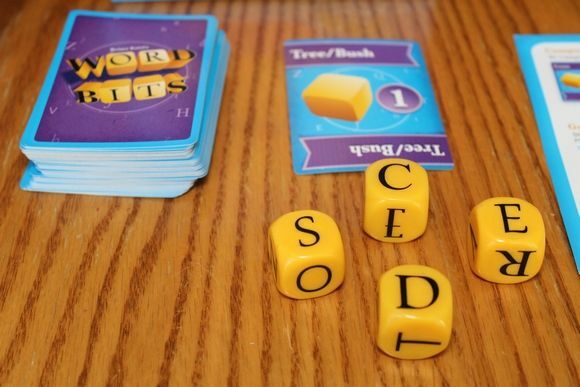 A very nice set of learning games. I think Duo Dash looks like alot of fun and the kids would love to have it! Triage and Lets Drive look pretty cool. I would like to try High Tail It game and the Bee Alert game looks like fun too. I like the Bee Alert game! I think we’d have fun playing it! We’d love Fourmation as well, I love that these games are fun and educational! I like the cow cents game. I would love to try the Hook’ em game from Simply Fun. Who’s like me sounds fun! My daughter would love the Front Runner game – she loves horses! My family plays family game nights at least 1-2 times a week. We own 30 board games, and I would love to try some new ones! I would also like to try Cow Cents. I would love to try the Dreaming Dragon games.It is too cute. I have also liked the cow cents game too! I would also like the Triage game. I like the Tibbars Find My ABCs & 123s game.